NEET 2019 – National Testing Agency (NTA), has released the admit card of NEET 2019 on April 15, in online mode. The link to download the hall ticket is available on this page below. The conducting body will conduct NEET exam in offline on May 5, in 154 cities across the country. The duration of NEET exam is three hours (2 to 5 pm). NEET 2019 answer key will be released by leading coaching centres after the exam concludes while the official answer key will be released by NTA tentatively in the last week of May. Candidates can check their NEET result 2019 on or before June 5. NEET 2019 counselling process for 15% All India Quota seats will be common while the remaining will be through respective state counselling processes. Admissions to about 93,919 MBBS and BDS seats in the medical and dental colleges of India other than AIIMS and JIPMER will be done on the basis of NEET scores. Admissions to AYUSH courses, B.Sc and AH medical courses are also through NEET. Check below to find out all details about NTA NEET 2019 including exam details, admit card, answer key, result, merit list, counselling and admissions. Admission to UG medical, dental courses in India (except AIIMS and JIPMER). Admission to all the AYUSH courses available in the country. Admissions to veterinary and other undergraduate medical courses in the country. To pursue MBBS and BDS abroad. NEET 2019 – What’s new? Applications with passport size photograph uploaded without name, date and white background will be accepted. The upper age limit of 25 years for general category students and 30 for reserved as well as PwD candidates have been removed as per the directive of the Supreme Court. Admissions are subject to the outcome of the ongoing case. MCI has issued draft guidelines on eligibility for PwD candidates. The exam cities for conduction of the entrance exam have been increased from 136 to 154. Students from open/private schools and those who have studied biology as an additional subject are allowed to appear for NEET 2019 subject to the final verdicts of Supreme Court. NTA has provided a fee concession for transgender candidates. NEET website is ntaneet.nic.in. All details of the exam can be availed here. Aadhar Card is not mandatory for NEET 2019 registration. NTA has provided video lectures by IIT professors and subject experts on how to prepare for NEET on its website. Aspirants can now use more than 2697 NEET test practice centres set up by NTA in all cities and towns for free practice. The NTA has announced the dates for NEET 2019 on November 1. Candidates can check the table below to know about all the important dates of NEET. Candidates can check the important exam day guidelines to be followed on the day of exam as mentioned below. 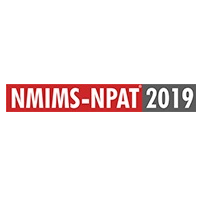 It is mandatory to carry the NEET 2019 hall ticket, a passport size photograph and valid ID proof for verification purpose while appearing for the test. Diabetic test takers will be permitted to carry eatables (fruits) only with the prior intimation. No packed food will be allowed in the exam. 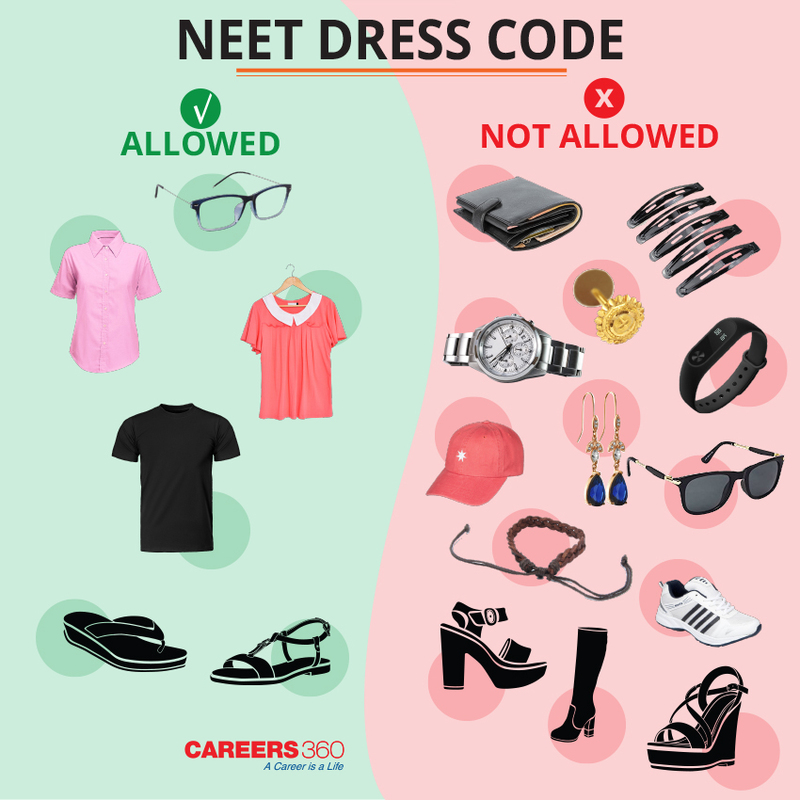 Candidates must follow the NEET 2019 dress code specified by NTA as given below. NTA will not make any arrangements for the safe keeping of the belongings. Hence students are advised to make their own arrangement or not carry bags and other such items. It is mandatory to sign the answer sheet at the start of the NEET 2019 test and again after the conclusion of the test. Students must ensure that the code written on the test booklet is similar to the one provided on the answer sheet. Light clothes with half sleeves are allowed. Long sleeves or clothes with heavy embroidery will not be permitted. Sandals, slippers and low heels are permitted while shoes are not permitted. Candidates who have opted for a customary dress like burkha/turban must report to the examination hall at least one hour prior to the reporting time. With immense competition and few seats at stake, NEET 2019 demands a lot in terms of preparation. With just few months left for NEET 2019, the preparation of candidates should be in full swing. Some crucial NEET 2019 preparation tips subject-wise are presented below to help candidates crack the medical entrance exam. Refer NCERT books of Class 11 and 12 by attempting all the questions and then move on to reference books. Solve MCQs for Physical Chemistry and learn concepts of Inorganic Chemistry. Clarify concepts to prepare for Organic Chemistry. Some important topics in Chemistry are Thermodynamics, Hydrocarbons, Equilibrium, Carbonyl Compounds, Mole Concept, Chemical Bonding, Coordination Compounds and Coordination Compounds. Biology is the most important section as it carries 50% weightage. To prepare for NEET 2019 Biology, revisions with the practical test are necessary elements. Use mnemonics to remember terms. Important Topics in Biology are Structural Organization in Animals and Plants, Diversity in Living World, Cell Structure and Functions, Human Physiology, Plant Physiology, Reproduction, Biology and Human Welfare, Genetics and Evolution, and Biotechnology and its Applications. Physics is considered as the most difficult sections of NEET UG. Candidates must have a conceptual clarity to prepare for NEET 2019 Physics. While preparing for NEET Physics, make short notes for all the important points and formulae in each chapter. Important topics in Physics are Thermodynamics, Dimensional Analysis, Current Electricity and Heat Transfer, Kinetic Theory of Gases, Geometrical Optics, Electromagnetic Induction and Waves & Sound. NTA has announced that there is no change in the NEET syllabus from the previous year. NEET 2019 syllabus comprises of topics from Physics, Chemistry, and Biology as per the NCERT curriculum of Class 11 and 12. Aspirants must check the detailed syllabus to know what topics to study for the test. 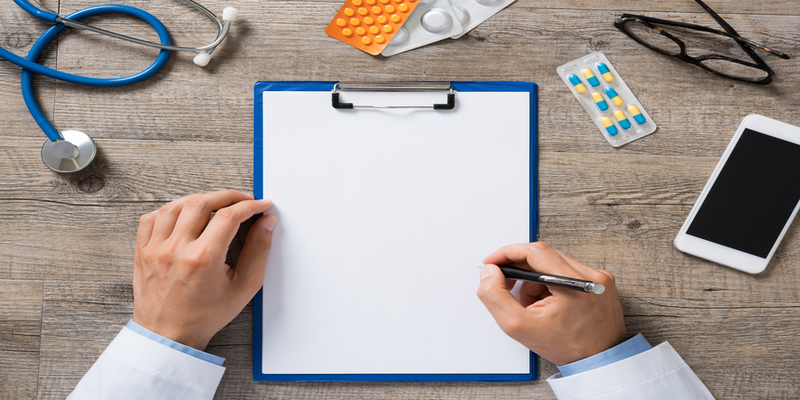 Some important topics have been listed below to aid NEET 2019 preparation of the candidates. NEET 2019 answer key will be released right after the conclusion of the exam by known coaching institutes like Aakash, Resonance, Allen Kota, etc. The official answer key of NEET 2019 will be available in the last week of May tentatively i.e. a week before the declaration of the result along with the response sheets of the candidates. The NEET answer key 2019 can be used by candidates to calculate their probable scores. Candidates can challenge the official NEET 2019 answer key within the specified time frame set by NTA. NTA has specified a minimum qualifying percentile which is the NEET cutoff. Only the candidates who score equal or above the cutoff of NEET 2019 will be eligible to apply for counselling. Cutoff is dependent on a lot of factors including the number of applicants, difficulty levels of the test, seat intake and previous year cutoff trends. NEET 2019 cutoff will vary for each state depending on the number of seats available, reservation criteria etc. NTA will declare the NEET 2019 result by June 5, 2019, in online mode. NEET result can be downloaded by candidates after logging in with their login ID/application number and password. Candidates can check the total and subject-wise marks obtained in NEET UG. The scorecard will mention the NEET All India Rank. It will also mention the All India Quota Rank for 15% seats (overall and category rank). NEET 2019 counselling for the All India Quota, ESIC quota, and seats in Central and Deemed Universities will be conducted by Director General of Health Services (DGHS), on behalf of the Medical Counselling Committee (MCC). The counselling for the state quota seats will be conducted by the respective state counselling authorities. The NEET 2019 seat allotment will be based on the candidate's NEET rank, score, and the choice of colleges made during counselling. NEET reservation criteria denotes the guidelines for students applying for reservations in the 15% All India Quota seats. Candidates will be eligible for admission on reserved seats under AIQ, provided they meet the eligibility requirements as specified in the table given below. The list of exam centres for NEET 2019 has been released by the NTA along with the release of the application form. The number of exam cities where NEET UG will be conducted is 154. Aspirants are required to fill in their choice of NEET 2019 exam city in the order of preference while filling up the application form. Candidates will be provided with an option to choose four exam cities. The option of exam cities will be available on the basis of the medium opted by the candidates. NEET 2019 exam centres will be allotted according to the preference of the candidates and also according to the availability of centres for conducting NEET. Check below the list of exam cities where NEET 2019 will be conducted. Question: When NTA NEET will be conducted? What are the timings of NEET 2019 exam? Answer: NEET UG will be conducted on May 5, 2019 (Sunday). The exam is 2.00 PM to 5.00 PM. Question: What is the mode of NEET 2019 exam? Answer: NEET 2019 will be only conducted in offline mode as a pen and paper-based test. Question: Which are the exam centres where NEET 2019 will be held? Answer: The information about the NEET 2019 exam centres will be only conveyed through the admit card. The regulatory has specified that NEET UG will be conducted in 154 cities. The exam is likely to be held in approximately 2,500 centres. Question: I am a foreign national. Am I eligible for NEET 2019? Answer: Yes, foreign nationals are eligible to appear for NEET 2019. In terms of nationality, citizens of India, NRIs, OCIs, PIOs and foreign nationals are eligible for NEET 2019. Question: What is the age criteria of NEET 2019? Answer: Candidates must be above 17 years. The upper age limit of 25 years of age (30 years for reserved category candidates) at the time of the examination has now been waived on the orders of the Supreme Court subject to the final outcome of the case. Question: In how many languages the question paper of NEET 2019 will be available? Answer: NEET 2019 question paper will be available in 11 languages namely - English, Hindi, Assamese, Bengali, Gujarati, Kannada, Marathi, Oriya, Tamil, Telugu and Urdu. Question: If I live in Tamil Nadu then can I give NEET in Telugu? Answer: No, the question paper in a particular regional language will be only available in that state where the language is spoken. In Tamil Nadu, the question paper will be only available in Tamil while NEET question paper in Telugu will be available in Telangana and Andhra Pradesh only. Question: What are the courses for which the NEET UG score will be considered for admission? Answer: Admission to MBBS, BDS, BAMS, BUMS, BHMS, BNYS, BSMS, 15% seats of BVSc and AH (except for colleges of Jammu and Kashmir) will be taken on the basis of NEET 2019 score. Question: How much do I need to score to qualify NEET 2019? Answer: General category candidates will need to score a minimum of 50th percentile, while those belonging to SC/ST/OBC will need to score at least 40th percentile and candidates from General-PH category will need to score at least 45th percentile in order to qualify NEET 2019. Question: What is the score that I need to obtain in NEET 2019 to secure an MBBS seat? Answer: There is not a definite score that a candidate needs to score to secure an MBBS seat as it varies each year depending on factors like the number of seats, performance of candidates, type of college -government and private, preference of the college, the state where the college is located among others. Question: What is NEET 15% All India Quota? Answer: All the states of India (with exception of Jammu & Kashmir) has allocated 15% of the MBBS/BDS seats of their government medical/dental colleges towards AIQ. The counselling for these seats is conducted by the DGHS. The admissions to 15% AIQ seats are conducted purely on the basis of candidates’ merit ranks in NEET 2019, irrespective of their domiciles. Question: What is the eligibility criteria for participating in AIQ counselling of NEET 2019? Answer: All the candidates who will qualify NEET by scoring minimum required percentile will be eligible for participating in 15% AIQ counselling conducted by DGHS. Candidates belonging to J&K will be eligible to participate in NEET 2019 AIQ counselling only if they will fill the self-declaration form at the time of filling the application form. Aspirants require to fulfill certain eligibility criteria in order to appear in the examination. The application forms of the ineligible candidates are not accepted, so aspirants are advised to go through the NEET 2019 eligibility criteria listed below. Age Limit Candidates must at least be 17 years of age. Candidates above 25 years of age (30 years of age if belonging to reserved or PwD categories) can also apply. The revised date of birth is on or before December 31, 2002. Academic Qualification The candidates must qualify Class 12 or equivalent examination with Physics, Chemistry, Biology and English to appear for NEET 2019. It is required of candidates to pass in these subjects individually. Minimum Required Marks In the qualifying examination, the candidates must have scored an aggregate of 50% (for unreserved), 45% (for Physically Handicapped), and 40% (for reserved including the PH reserved) in the subjects of Physics, Chemistry, and Biology in aggregate. Additional Biology and Open School students Candidates with Biology as an additional subject in Class 12 and also those who have completed Class 11 and Class 12 from open school are eligible for NEET 2019. However, the final status eligibility depends on the Special Leave Petitions/Appeals filed by the Medical Council of India (MCI). Number of attempts Candidates can take NEET UG as many times as they wish considering the fulfil the other eligibility criteria. The release date of the application form for NEET 2019 was November 1, 2018. The last date for filling up the application form was December 7, 2018. The application fee can be submitted till December 8. The mode of release and submission of the NEET 2019 application form is only online. Aspirants can check below the step-by-step approach to fill in the application form. The candidates firstly are required to register themselves by providing details as email id, contact number etc. Once registered, the candidates can login by using their login ID and password. Candidates then need to fill the online application form wherein they have to provide all of the required personal and academic information. Candidates are advised to carefully go through their application form before submitting it finally, and edit the same if necessary. In the next step, the candidates are required to upload the scanned images of their photograph and signature, in NEET 2019 online application. The images should be uploaded properly and should be according to the specifications as notified by NTA. In the final step, candidates will be required to pay the application fee. The mode of payment of application fee will be online. The application fee for NEET 2019 has been mentioned in the table below. Candidates, after fee payment, should take a print out of the confirmation page and keep it for future reference.